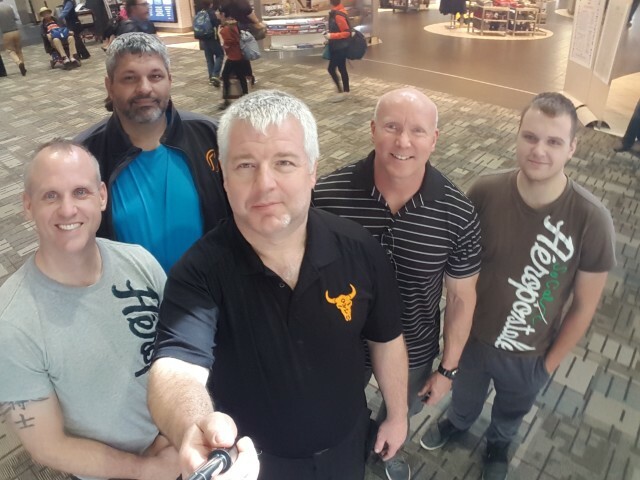 Wednesday March 9, 2016 I was sitting in Pearson airport with Datu Tim Hartman, Master Rich Parsons and my son Evan waiting to catch our plane to take my fourth trip over to the Philippines. Day 1 Friday morning March 11th the four of us arrive at our hotel in Malate to meet up with PG Tye Botting and Jon Braeley from Empty Minds Film who would accompanying us through our Philippines Adventure. 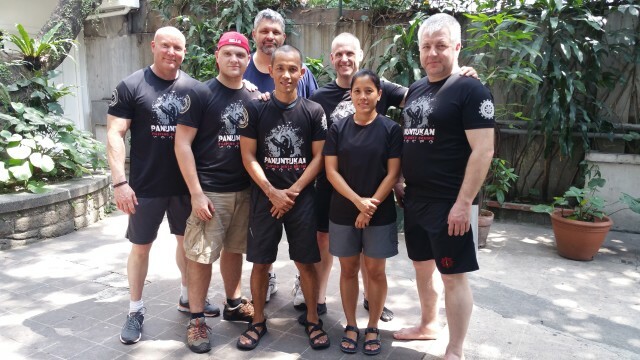 After a change of clothes and a quick bite to eat we were training with Lakan Ronnie Royce Base in the back courtyard of the hotel. Over the next hour Lakan Ronnie had us going through the finer point to the various entries of Panantukan. After lunch, we spent the afternoon in Quiapo at the market place shopping for supplies and gifts. 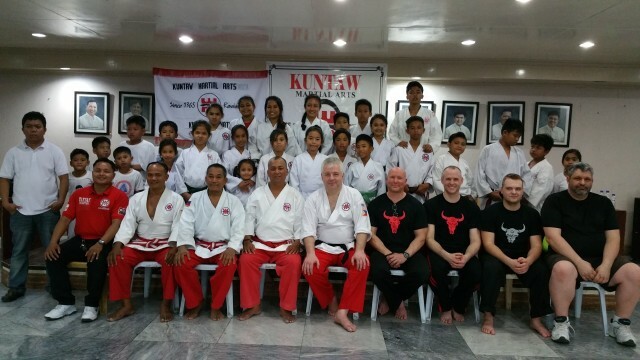 Day 2: We spent the day at the Kuntaw Headquarters in Cavite training with Kyud “Thunderfoot” Lanada and the Kuntaw group. 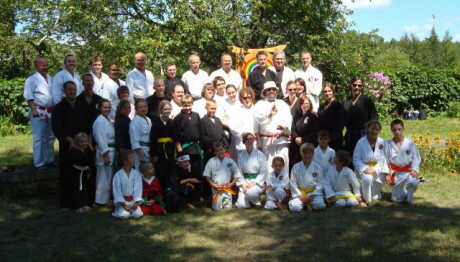 After a fantastic demo by the group, we got on the floor with the black belts to go through all the Kuntaw forms. The hospitality by everyone there was incredible. Day 3: We spent the day in Rizal Park today. First stop was the center of the park at the Lapu Lapu statues for a photo shoot with all the particpants in the 8th FMA Festival. Here we got meet up with old friends and meet new ones. Shortly after the photoshoot, the WMAA gang proceeded over to the Chinese garden to visit with GM Rodel Dagooc. 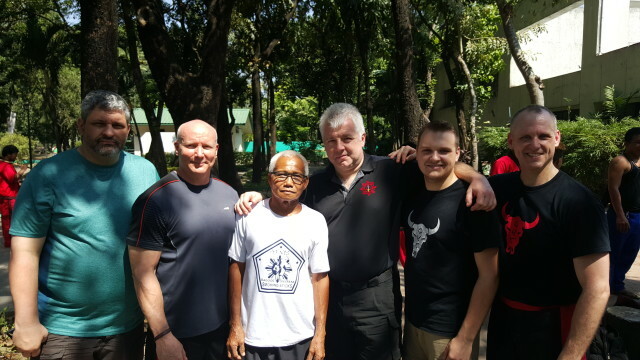 The next stop was opposite side of the park where we spent the next hour going over the basics of Kali Ilustrisimo Repeticion Orihinal with GM Arnold Narzo. It was then back to the Pension Natividad to pack up to catch our 8pm plane to Cebu. After a short flight, we arrive in Cebu where we were met in the airport by Gm Bobby Taboada, GM Nick Elizar and his son Neil Elizar. Nice ending to a great day. Day 4: We spent the morning visiting some monumental landmarks in Cebu. 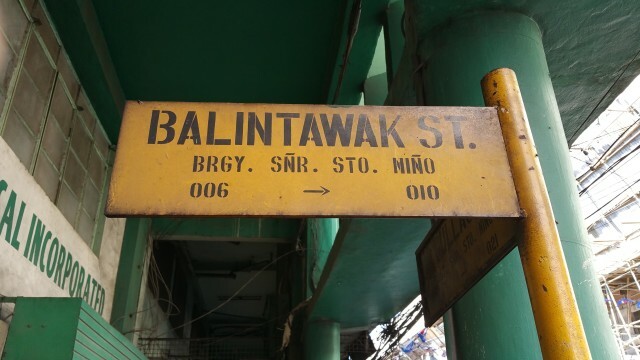 First stop was Balintawak Street and then to the Magellan Shrine Park. 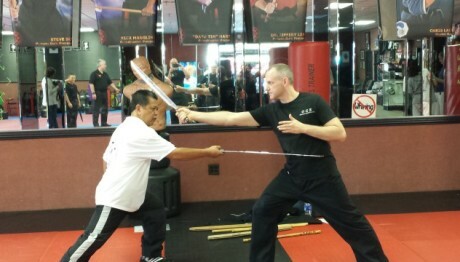 We then spent the afternoon training with GM Bobby Taboada and GM Nocomedes Elizar. Excellent finish to another great day. Day 5: Up at 3am to catch the bus over to the ferry in Oslob. 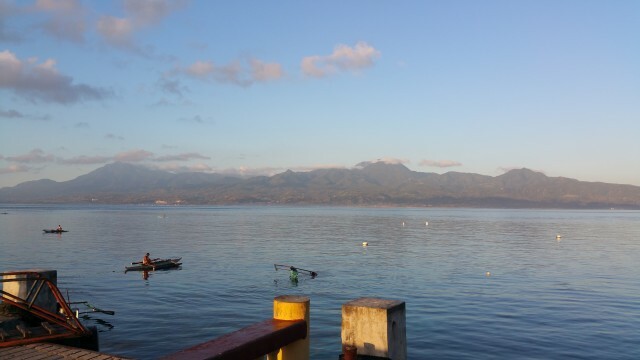 20 min boat ride over to Dumaguete. Short visit at the FMA Festival and then a 5 hour drive to Hinigaran, the hometown of the Presas family. Quiet evening at Paradiso Resort with the WMAA crew. Day 6: Started off the morning with a walk on the beach where GGM Ernesto ran his camps. Afterwards we visited the graves of GMs Remy & Ernesto to pay respect. Finally we had the pleasure to be welcomed back to the Presas family home by GM Roberto and his wife. 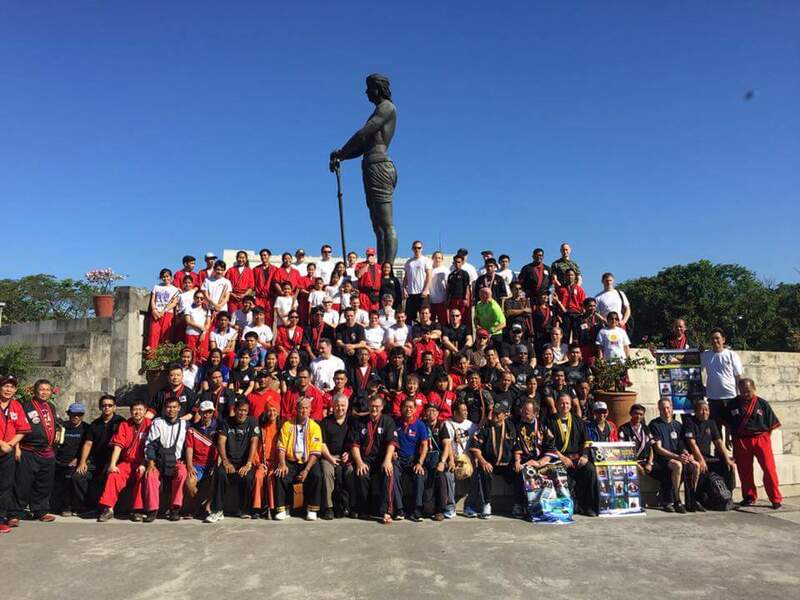 Had the honour to help in a black belt test on the beach in Hinigaran. Excellent finish to a great day. Day 7: Back on road today after two great days in Hinigaran. Checked in to the El Dorado Resort for a quiet evening after a 5 hour trip back to Dumaguete. Day 8: Spent the day training and assisting at the 8th FMA Festival. Had the opportunity to train with a plethora of great FMA practitioners from all over the globe. Evening concluded with performing a demo with Datu Tim at the closing day Gala. Day 9: Up early and back on a plane to Manila. 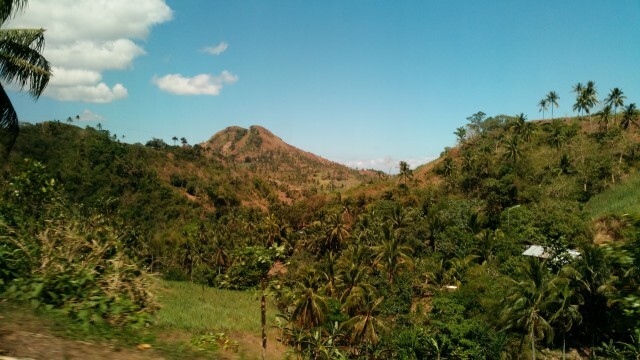 Incredible week in Cebu and Negros. Quiet evening in Malate with dinner and shopping in Robinson Mall. 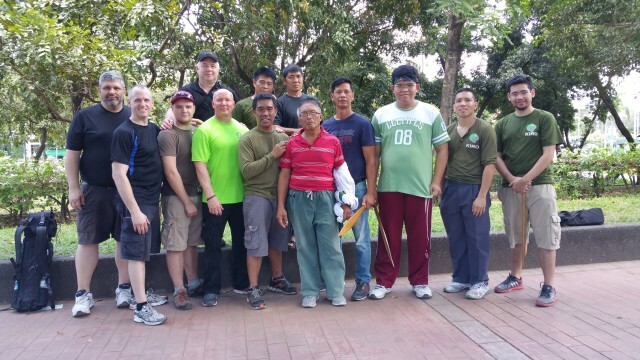 Day 10: Up early to train in Rizal Park with GM Rodel Dagooc. 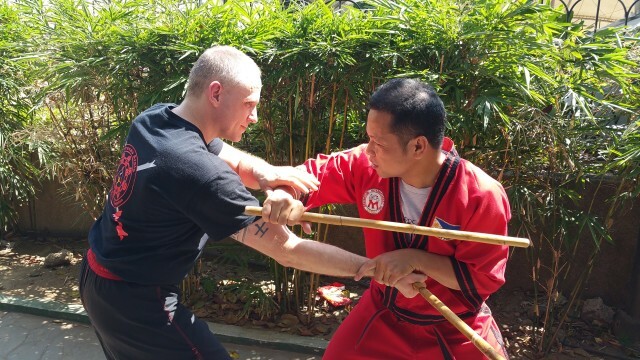 An amazing time as usual training with him and his group. Always look forward to our training sessions each trip. Had a visit with a local blade smith and went back to Quiapo to pick up our supplies that we had ordered, as well as check out the local merchants. 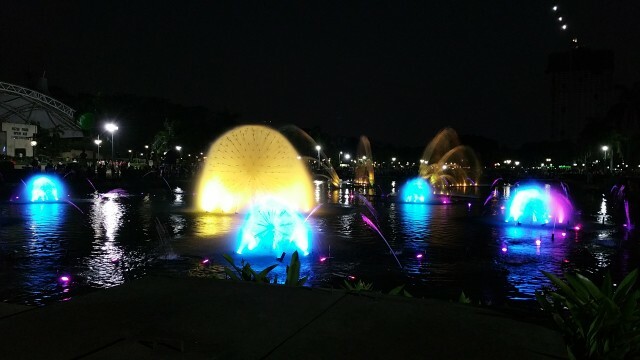 Spent the evening back at Rizal Park visiting with more FMA practitioners. Day 11: Last day in the Philippines. Drove down to Batangas to visit GM Rodel Dagooc. 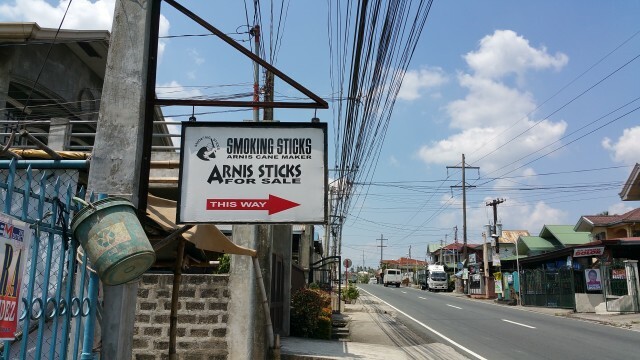 He took us for a tour of his shop where he manufacturers all his sticks and we got to see the new Arnis Village that is in the making. Looking forward to visiting on the next trip. Went out for lunch then GM Rodel brought us to visit two blade manufacturing shops. 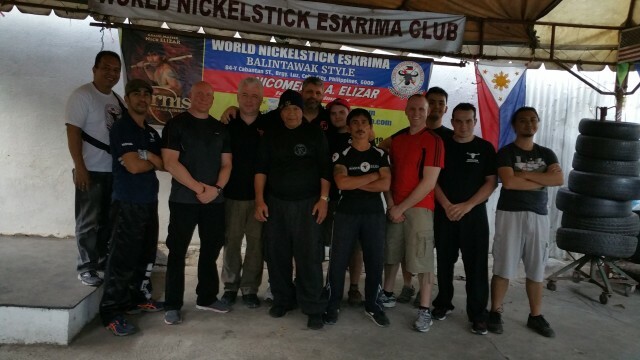 We finished our trip with a stop at the Giron balisong shop before heading back to Manila. 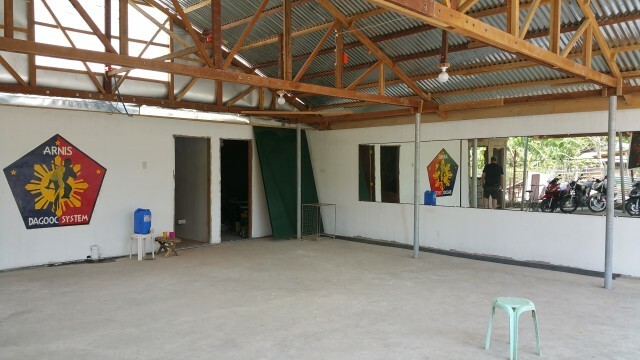 New Arnis Village in the making! Day 12: 11am flight (Philippines time) had us arriving back in Canada at 11pm. It was a long trek home but it was worth it. It was a great trip and an amazing adventure. Looking forward to returning in 2018.